A Brief history of the Internet [PDF] - This paper was first published online by the Internet Society in December 2003 and is re-published in ACM SIGCOMM Computer Communication Review because of its historic import. It was written at the urging of its primary editor, the late Barry Leiner. He felt that a factual rendering of the events and activities associated with the development of the early Internet would be a valuable contribution. The contributing authors did their best to incorporate only factual material into this document. There are sure to be many details that have not been captured in the body of the document but it remains one of the most accurate renderings of the early period of development available. About Us - Promote your website, learn about internet marketing, and find ways to improve your business' online visibility. Adblock Plus - Blocks annoying ads on the web. It can block other things, like tracking, as well. APNIC - APNIC is one of three Regional Internet Registries currently operating in the world. It provides allocation and registration services which support the operation of the Internet globally. It is a not-for-profit, membership-based organisation whose members include Internet Service Providers, National Internet Registries, and similar organisations. APNIC represents the Asia Pacific region, comprising 62 economies. ARIN - A non-profit organization established for the purpose of administration and registration of Internet Protocol (IP) numbers for the following geographical areas: North and South America, the Caribbean and sub-Saharan Africa. ARIN is one of three Regional Internet Registries (RIRs) worldwide which collectively provide IP registration services to all regions around the globe, the other two being RIPE NCC (Europe, Middle East, parts of Africa) and APNIC (Asia Pacific). ARIN: WHOIS Database Search provides a mechanism for finding contact and registration information for resources registered with ARIN. ARIN's database contains IP addresses, autonomous system [AS] numbers, organizations or customers that are associated with these resources, and related Points of Contact [POC]. Bandwidth Place - Online destination for all things broadband -- starting with a Speed Test to measure and manage your bandwidth performance. Whether you are at home, at work or on your mobile or wireless device -- you can connect to BandwidthPlace to test your speed without an application download or Flash. Berkeley Macintosh Users Group (BMUG) - A Macintosh User Group, founded in September 1984 by U.C. Berkeley students including Reese Jones, Raines Cohen and Bernt Wahl to share knowledge of graphical computing, primarily the Apple Macintosh. The group had more than 13,000 members at its peak in 1993, with associated BBSs in Boston and Tokyo, and was the largest independent computer users' group in the world at the time. Some notable members include: John Draper (Captain Crunch), Hassanal Bolkiah (Sultan of Brunei), and Eric Brewer (Inktomi founder). Berkman Center for Internet and Society (Harvard Law School) - A network of faculty, students, fellows, entrepreneurs, lawyers, and virtual architects working to identify and engage with the challenges and opportunities of cyberspace. BITNET - A co-operative U.S. university computer network founded in 1981 by Ira Fuchs at the City University of New York (CUNY) and Greydon Freeman at Yale University. The first network link was between CUNY and Yale. Bulletin Board System (BBS) - A computer server running software that allows users to connect to the system using a terminal program. Once logged in, the user can perform functions such as uploading and downloading software and data, reading news and bulletins, and exchanging messages with other users through public message boards and sometimes via direct chatting. In the middle to late 1980s, message aggregators and bulk store-and-forward'ers sprung up to provide services such as FidoNet, which is similar to email. Box - Provides secure online file storage and sharing functionality to over 750,000 registered users, serving files to millions of people around the world. Box.net's unique platform allows personal and commercial content to be accessible, sharable, and storable in any format from anywhere. BrightPlanet - Deep web intelligence: patented technology is the definitive answer to the challenge of harvesting Big Data from the Deep Web. BugMeNot - Bypass compulsory web registration. Censys - A search engine that enables researchers to ask questions about the hosts and networks that compose the Internet. Censys collects data on hosts and websites through daily ZMap and ZGrab scans of the IPv4 address space, in turn maintaining a database of how hosts and websites are configured. Researchers can interact with this data through a search interface, report builder, and SQL engine. Details on the Censys architecture and functionality are available in its research paper. Center for Digital Democracy (CDC) - Committed to preserving the openness and diversity of the Internet in the broadband era, and to realizing the full potential of digital communications through the development and encouragement of noncommercial, public interest programming. Central Ops - Advanced online Internet utilities: traceroute, nslookup, smart whois, ping, finger. checkdomain - The place to go on the Internet to see if a domain name is available for almost any country in the world. Choosing a DOCTYPE - According to HTML standards, each HTML document requires a document type declaration. The DOCTYPE begins the HTML document and tells a validator which version of HTML to use in checking the document's syntax. Coalition Against Unsolicited Commercial Email (CAUCE) - All volunteer organization created by Netizens to advocate for a legislative solution to the problem of UCE (a/k/a "spam"). ConnectNet - Find a place near you where you can use a computer, get on the Internet, and often get help learning about technology - usually for free. Country Code (ccTLD) Lookup - Get information about the country associated with a ccTLD. Example: us, uk, fr. Country Lookup - Get information (country code) for a country. Cybercafes - This site contains a database of over 4200 Internet cafes in 148 countries. You can search by city or country name for a list of cafes found in that location, or click on the map below for quick access to regional listings. Listings include location (country, city, address), home page URL, and e-mail address. Decentralized Web Summit - Building a Decentralized Web , bringing together architects, activists, artists, archivists and stakeholders from around the world. See Videos page. Declare the Language of Your Webpage - The <lang=> attribute can be used to declare the language of a Web page or a portion of a Web page. This is meant to assist search engine spiders, page formatting and screen reader technology. Ipogue - Leading European provider of deep packet inspection (DPI) solutions for Internet traffic management and analysis. Defense Advanced Research Projects Agency (DARPA) - The central research and development organization for the Department of Defense (DoD). It manages and directs selected basic and applied research and development projects for DoD, and pursues research and technology where risk and payoff are both very high and where success may provide dramatic advances for traditional military roles and missions. Digital Object Identifier (DOI) - A character string (a "digital identifier") used to uniquely identify an object such as an electronic document. Metadata about the object is stored in association with the DOI name and this metadata may include a location, such as a URL, where the object can be found. The DOI for a document is permanent, whereas its location and other metadata may change. Referring to an online document by its DOI provides more stable linking than simply referring to it by its URL, because if its URL changes, the publisher need only update the metadata for the DOI to link to the new URL. See Wikipedia. Display My Hostname - Provides hostname and additional information. DNS InMOtion Visualization - A tool that performs the necessary lookups that check where a domain name is routing, then graphically displays this information for easy review. DNS Stuff - DNS tools, DNS hosting tests, WHOIS, traceroute, ping, and other network and domain name tools. DNSViz Tool - Tool for visualizing the status of a DNS zone. Test DNS servers and settings for a domain name - Enter a domain name to check if its DNS servers are configured correctly. Documentation of Internet Filtering Worldwide - With this project, the authors seek to document and analyze a large number of Web pages blocked by various types of filtering regimes, and ultimately, to create a distributed tool enabling Internet users worldwide to gather and relay such data from their respective locations on the Internet. Domain Lookup - Retrieve the IP address associated with a domain name of a web site. Down for Everyone or Just Me? - Check if a website is down or up. Down Right Now - Check if a website is down or up. Down for Everyone or Just Me? - Check to see if website you are trying to reach is really unavailable or offline or the problem is at your end. eFax - Now you don't need to keep your computer on to receive faxes, have a separate phone line, or worry that you'll miss faxes when you're connected to the Internet. Just give your clients your eFax number and all your faxes will be delivered to your email inbox. Electronic Frontier Foundation - Organization working to protect civil liberties, privacy, and freedom of expression in the arena of computers and the Internet. Enable SSL to fix the Firefox 'cannot connect securely error message' - Secure Sockets Layer (SSL) lets you securely access websites. Websites that use SSL will have 'https' at the start of their address. Most banking sites and online stores use SSL. ENUM - Official web site for NeuStar's ENUM Public Trial. Extensive information about ENUM, as well as external links to additional ENUM Resources. ENUM (RFC 2916) is the mapping of a telephone number from the Public Switched Telephone Network (PSTN) to Internet services. Escrow - Protects online buyers and sellers from fraud. FAQ Consortium - Archive for all Frequently Asked Questions (FAQs) from Usenet newsgroups; also, RFCs. Fight for the Future - Dedicated to protecting and expanding the Internet's transformative power in by creating civic campaigns that are engaging for millions of people. Alongside internet users everywhere it works to beat back attempts to limit basic rights and freedoms, and empower people to demand technology (and policy) that serves their interests. Fixed Broadband Deployment Map - This interactive map was created by the FCC to illustrate the Commission's broadband deployment results found in the Eighth Broadband Progress Report, which uses data underlying the National Broadband Map, as of June 30, 2011. It shows census block areas of the United States with and without access to fixed broadband of 3 Mbps download and 768 kbps upload. Free eCommunications Guide - Information on the many completely free ways you can communicate on the web, including email, long distance calling, conference calling, instant messaging, fax, voicemail and more. Free Press - Working to create a world where people have the information and opportunities they need to tell their own stories, hold leaders accountable, and participate in policymaking. Fighting to save the free and open Internet, curb runaway media consolidation, protect press freedom, and ensure diverse voices are represented in our media. FreeWebspace - Searchable guide to free webspace providers. Future of the Internet and How to Stop It (by Jonathan Zittrain) - Zittrain's research interests include battles for control of digital property and content, cryptography, electronic privacy, the roles of intermediaries within Internet architecture, and the useful and unobtrusive deployment of technology in education. Also see Zittrain's blog. Geektools - Traceroute and Whois. Geneva Internet Platform (GIP) - GIP serves permanent missions based in Geneva with tailored briefings on developments in Geneva Internet goverence politics. Get Real URL - Avoid phishing, malware, and viruses by examining short URLs before visiting them. Find out where links really take you and how they look. Call Phones form Gmail - Voice and video chat. Gmail - Email from Google. Google Accounts - Gmail, Web History and iGoogle. Google Apps for Your Domain - Lets you offer private-labeled email, instant messaging and calendar accounts to all of your users, so they can share ideas and work more effectively. These services are all unified by the start page, a unique, dynamic page where your users can preview their inboxes and calendars, browse content and links that you choose, search the web, and further customize the page to their liking. You can also design and publish web pages for your domain. Google Blogoscoped - A daily news blog and community covering Google, search, and technology. Google Correlate - Finds search patterns which correspond with real-world trends. Google Docs - Create documents, spreadsheets, and presentations online. Google Earth - Combines satellite imagery, maps and the power of Google Search to put the world's geographic information at your fingertips. Google Maps - Enables users to quickly and easily create custom maps for personal use or sharing through search. With this release, creating maps mashups is now as simple as pointing and clicking. From chronicling trips, to sharing tips and documenting academic endeavors, My Maps empowers users to create content-rich maps that are relevant to their interests, expertise, or personal needs. Google Maps Navigation - An internet-connected GPS navigation system with voice guidance. Google Page Ranking - Page rank search engine. Google Press Center - On a monthly, weekly, and sometimes daily basis, this Google Zeitgeist page is updated to reflect lists, graphs, and other tidbits of information related to Google user search behavior. Google Toolbar - Search the web from any site, eliminate pop-up ads, fill in forms with one click, highlight search terms on a page. Also see About Google Toolbar Features. Google Web Search Features - Google has many special features (explained here) to help you to find what you're looking for on the net. Google Webmaster Central and Google Webmaster Discussion/Help Forum - Get data about crawling, indexing and search traffic. Receive notifications about problems on your site. Google: Is it down right now? - Having problems with Google.com website today? Check whether Google server is up or down right now for everyone or just for you. Inside Search - Get information on Google's newest search features and learn tips from basic to advanced. For even more on Google search, explore Google's playground of fun features, or go under the hood to explore the technology that powers your searches. Keep My Opt-Outs - An extension for Chrome browser users who aren't comfortable with personalization of the ads they see on the web. It's a one-step, persistent opt-out of personalized advertising and related data tracking performed by companies adopting the industry privacy standards for online advertising. Music - Upload up to 20,000 songs from your personal music collection to listen from any computer or on your phone, even offline. For free. YouTube One Channel - Branding works across devices. Government Requests Transparency Report - Google has created Government Requests to show the number of government inquiries for information about users and requests to remove content from its services. Also see Google's interactive Traffic Graphs which provide information about traffic to Google services around the world. Each graph shows historic traffic patterns for a geographic region and service. By illustrating outages, this tool visualizes disruptions in the free flow of information, whether it's a government blocking information or a cable being cut. We hope this raw data will help facilitate studies about service outages and disruptions. Guidescope - Helps you take control of the Web by blocking out ads you don't want. Herdict - A user-driven platform for identifying web blockages as they happen, including denial of service attacks, censorship, and other filtering. Reporting to Herdict when you can't access the content you want contributes to our aggregated data that helps us monitor the health of the Internet in real time. Hideaway.Net - A web portal devoted to online security, the Linux operating system, Internet privacy, and virus protection. 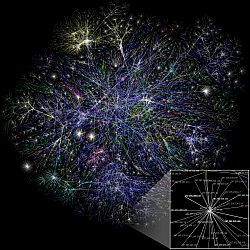 History of the Internet Resource Center (Net History) - Resource centre for Internet history, including all the applications and platforms that came together to create the early Internet - protocols, personal computers, email, world wide web, networks, and more. Hosts File - A hosts file brought to you by Dan Pollock. Use this file to prevent your computer from connecting to selected internet hosts. This is an easy and effective way to protect you from many types of spyware, reduces bandwidth use, blocks certain pop-up traps, prevents user tracking by way of "web bugs" embedded in spam, provides partial protection to IE from certain web-based exploits and blocks most advertising you would otherwise be subjected to on the internet. How to Make a YouTube Account - YouTube allows users to search and browse millions of commmunity and partner videos, comment, rate, and make video responses to your favorite videos, upload and share your videos with millions of other users, and save your favorite videos to watch and share later. This is how you can make your YouTube account. Also see: Broadcasting Ourselves: The Official YouTube Blog and Official YouTube Support. How to Troubleshoot Basic TCP/IP Problems - This article describes how to troubleshoot some common network communication problems you may experience when you use TCP/IP as your network protocol. These problems usually fall into one of the following two categories: You are unable to connect to a specific IP address or you are unable to connect to a specific host or NetBIOS name. If you are unable to connect to a specific IP address, the problem is related to basic connectivity. If you are able to connect to a specific IP address, but you are not able to connect using the host or NetBIOS name for that IP address, the problem is related to name resolution. International Journal of Internet Science (IJIS) - A peer reviewed open access journal for empirical findings, methodology, and theory of social and behavioral science concerning the Internet and its implications for individuals, social groups, organizations, and society. Internet - Net news and resources on Web development, Java, browsers, e-commerce, a list of over 3,000 ISPs, Internet stocks, technology. Internet Addiction Guide - Dr. John Grohol's resource for objective, useful information about Internet addiction, a theorized disorder. Internet Architecture Board - Technical advisory group of the Internet Society. Internet Archive - Working to prevent the Internet - a new medium with major historical significance - and other "born-digital" materials from disappearing into the past. Collaborating with institutions including the Library of Congress and the Smithsonian, it is working to preserve a record for generations to come. Internet Archive Wayback Machine - Building a digital library of Internet sites and other cultural artifacts in digital form. Like a paper library, it provides free access to researchers, historians, scholars, and the general public. Internet Corporation for Assigned Names and Numbers (ICANN) - The non-profit corporation that was formed to assume responsibility for the IP address space allocation, protocol parameter assignment, domain name system management, and root server system management functions previously performed under U.S. Government contract by IANA and other entities. Internet Engineering Task Force (IETF) - International community of network designers, operators, vendors, and researchers concerned with the evolution of the Internet architecture and the smooth operation of the Internet. Internet Hall of Fame - A recognition program and virtual museum that celebrates the living history of the Internet and the individuals whose extraordinary contributions have made the Internet, its worldwide availability and use, and its transformative nature possible. Internet Memory Foundation (IMF) - Web archiving. IMF actively supports the preservation of Internet as a new media for heritage and cultural purpose. Internet Relay Chat (IRC) Help Archive - IRC help site: over a thousand helpful files including FAQs, primers, guides, downloadable clients and scripts, server lists, and more. Internet Slang - Acronym finder reveals and explaisn the meanings of over 1000 internet abbreviations and acronyms. Internet Society (Hong Kong) - Dedicated to the open, unencumbered, beneficial use of the Internet. Provides leadership in addressing issues that confront the future of the Internet, and is the organisational home for the groups responsible for Internet infrastructure standards, including the Internet Engineering Task Force (IETF) and the Internet Architecture Board (IAB). Internet Traffic Report - Monitors the flow of data around the world, displaying a value between zero and 100. Higher values indicate faster and more reliable connections. Internet2 - A consortium being led by over 170 universities working in partnership with industry and government to develop and deploy advanced network applications and technologies, accelerating the creation of tomorrow's Internet. Internet2 is recreating the partnership among academia, industry and government that fostered today's Internet in its infancy. Internet/Cyberspace Democracy - Archives the websites of entities advocating universal,equal, and uncensored access to, and use of, online information; those contesting the notion of information as a commodity; those advocating non-capitalist and non-hierarchical models of online functioning and governance, etc. InternetNews - Provides real-time news updated throughout the business day, covering IT issues and Internet-related technologies for corporate managers and hi-tech professionals. IP Address Lookup - Helps you to find information about your current IP address or any other IP address. It supports both IPv4 and IPv6 addresses. IP Tools - Including: Google HomePage Widget (Add IP-Lookup to your Google HomePage); Name Server Search (Find Domain Name Server (DNS) name with their IP address); IP Address Conversion (Convert an IPv4 address to decimal, hexadecimal, octal or IPv6); IP Port Information and Security Scanning; IP Documentation (RFCs); IP-Lookup (IPv4 and IPv6 Address informatin (whois, location). IP Tutorial: Network Numbering - From About.com. IPv6 - IPv6 is short for "Internet Protocol Version 6 ". IPv6 is the "next generation" protocol designed by the IETF to replace the current version Internet Protocol, IP Version 4 ("IPv4"). IPv6 Domain Readiness Tester - A testing tool. IPv6 Test - A free service that checks your IPv6 and IPv4 connectivity and speed. Diagnose connection problems, discover which address(es) you are currently using to browse the Internet, and what is your browser's protocol of choice when both v6 and v4 are available. IT History Society - Supports historical research, archival acquisitions, archival processing, historical writing, writing of educational material, public lectures, workshops, conferences, educational courses, short stories, novels, films, plays, exhibits, museums, web pages, and other activities that feature IT history as a topic. Jigsaw - A technology incubator created by Google, and now operated as a subsidiary of Alphabet Inc. Based in New York City, Jigsaw is dedicated to understanding global challenges and applying technological solutions, from countering extremism, online censorship and cyberattacks, to protecting access to information. Life on the Internet - PBS Online's Life On The Internet examines the ways people use the Internet and its impact on us. LivingInternet - Comprehensive source of information about the Internet. LongURL - Avoid phishing, malware, and viruses by examining short URLs before visiting them. Find out where links really take you. A safer, more convenient web browsing by revealing the destination of shortened URLs like those of TinyURL.com, bit.ly, is.gd, and more. Looks Too Good to Be True - Advice and resources for the prevention of Internet fraud. Media Metrix - Internet and digital media measurement worldwide. Global source for accurate, reliable and timely behavioral data at the core of its clients' critical strategic business decisions. MVPS Hosts File: Blocking Unwanted Parasites with a Hosts File - You can use your "hosts" file to block ads, banners, 3rd party cookies, 3rd party page counters, web bugs, and even most hijackers. In many cases using a well designed "hosts" file can speed the loading of web pages by not having to wait for these ads, annoying banners, hit counters, etc. to load. This also helps to protect your privacy and security by blocking sites that may track your viewing habits, also known as "click-thru tracking" or data miners. MVPS Hosts File includes most major parasites, hijackers and unwanted adware/spyware programs. This page explains it all and its "hosts" file is the best I've seen anywhere. I use it and highly recommend it. MX Toolbox - This test will list MX records for a domain in priority order. The MX lookup is done directly against the domain's authoritative name server, so changes to MX Records should show up instantly. You can click Diagnostics , which will connect to the mail server, verify reverse DNS records, perform a simple Open Relay check and measure response time performance. You may also check each MX record (IP Address) against 147 DNS based blacklists (commonly called RBLs, DNSBLs). Neat New Stuff on the Net - Weekly reviews of new web sites by Marylaine Block. Net Data Directory - Collects and shares information on different sources of data about the Internet. Maintained by The Berkman Center for Internet & Society. Netiquette Home Page - The do's and don'ts of online communication. Netcraft Web Server Survey - A survey of Web Server software usage on Internet connected computers. Collects and collates as many hostnames providing an http service as can be found, and systematically polls each one with an HTTP request for the server name. netomat - Netomat is a browser only by convention. With netomat, the user has a dialogue with the Internet. You can ask the net a question using natural language. Netomat responds by flowing text, images and audio from the net to your screen. You respond or ask further questions or write keywords and the flow of data to your desktop is altered in response. The data is not constrained by a web page or site but free floating and independent. netomat can retrieve almost all types of data that resides on the Internet. Network Solutions - Domain name registration and promotion. Next Web, The - News about Internet technology, business and culture. nslookup - Find the IP address or hostname of a machine. OpenDNS - Improving the safety and speed of the Domain Name System. Pandia Search Central - Guide to search engines and Internet searching. PANDORA Archive - The National Library of Australia archives indexed or abstracted Australian Internet publications and provide a persistent identifier for them, guaranteeing that links from citations in indexes and abstracts to the copy in the archive will remain permanently viable. Perma.cc - Helps scholars, journals and courts create permanent links to the online sources cited in their work. When a user creates a Perma.cc link, Perma.cc archives the referenced content and generates a link to an archived record of the page. Regardless of what may happen to the original source, the archived record will always be available through the Perma.cc link. People for Internet Responsibility (PFIR) - PFIR is a resource for discussion, analysis, and information regarding domain name policy, spam, security, encryption, freedom of speech issues, privacy, content rating and filtering, and other Internet-related issues. Personal Pages Worldwide: College and University Collections - Links to collections of personal pages at colleges and universities worldwide. Ping Network Connectivity to a Server - Use ping test and traceroute tool to test your server or website. Enter a host name or IP address to perform a Ping or a Traceroute. Platform for Internet Content Selection (PICS) - The PICS specification enables labels (metadata) to be associated with Internet content. It was originally designed to help parents and teachers control what children access on the Internet, but it also facilitates other uses for labels, including code signing and privacy. Port Scanning at AuditMyPc - Port scanning is one of the most popular reconnaissance techniques attackers use to discover services they can break into. All machines connected to a Local Area Network (LAN) or Internet run many services that listen at well-known and not so well known ports. By port scanning the attacker finds which ports are available (i.e., what service might be listing to a port). Essentially, a port scan consists of sending a message to each port, one at a time. The kind of response received indicates whether the port is used and can therefore be probed further for weakness. PressAboutUs - Helps track news about your websites. Proxy - Use these free proxies to surf anonymously online, unblock any website, secure your internet connection, hide your internet history, and protect your online identity. Public Knowledge (PK) - A Washington DC based advocacy group working to defend your rights in the emerging digital culture. PK is a group of lawyers, technologists, lobbyists, academics, volunteers and activists dedicated to fortifying and defending a vibrant information commons. Public Netbase t0 Institute for New Culture Technologies - Organizes exhibitions, events, symposia and workshops. Since 1998, it has attracted more than 75.000 visitors. The net culture institute provides more than 1200 artists, cultural workers, adolescents, project groups, and initiatives with e-mail accounts, web space, fully equipped project work spaces, proficient technical support and the transfer of technology know-how, thus enabling them to actively participate in the shaping of the World Wide Web and global data structures. Redirect Visitors To a New Page / Site - If you've moved a few pages or even a whole site, here are a few ways to get your visitors to where they were going by automatically redirecting them. Requests for Comments (RFC) Editor - Requests for Comments (RFCs) form a series of notes, started in 1969, about the Internet. The notes discuss aspects of computer communication, focusing on networking protocols, procedures, programs, and concepts but also including meeting notes, opinion, and sometimes humor. RFC Editor is the publisher of the RFCs. Ringlink Webring Directory - Directory of webrings, groups of websites with related content. RIPE - RIPE (Reseaux IP Europeens) is a collaborative organization open to organizations and individuals operating wide area IP networks in Europe and beyond. The objective of RIPE is to ensure the administrative and technical coordination necessary to enable operation of a pan-European IP network. RORweb - ROR (Resources of a Resource) is a rapidly growing independant XML format for describing any object of your content in a generic fashion, so any search engine can better understand that content. This is the official ROR website. Sam Spade Tools - Search, browser, anonymity, addressing and other Internet-related tools. Save the Internet - This is about Internet freedom. Network Neutrality - the First Amendment of the Internet - ensures that the public can view the smallest blog just as easily as the largest corporate Web site by preventing Internet companies like AT&T from rigging the playing field for only the highest-paying sites. But Internet providers like AT&T, Verizon and Comcast are spending millions of dollars lobbying Congress to gut Net Neutrality. Decisions being made now will shape the future of the Internet for a generation. Before long, all media - TV, phone and the Web - will come to your home via the same broadband connection. The dispute over Net Neutrality is about who'll control access to new and emerging technologies. The nation's largest telephone and cable companies - including AT&T, Verizon, Comcast and Time Warner - want to be Internet gatekeepers, deciding which Web sites go fast or slow and which won't load at all. Also see FAQ on Net Neutrality. Schema - This site provides a collection of schemas, i.e., html tags, that webmasters can use to markup their pages in ways recognized by major search providers. Search engines including Bing, Google and Yahoo! rely on this markup to improve the display of search results, making it easier for people to find the right web pages. Schemes for Organizing the Web - A clearinghouse of World Wide Web sites that have applied or adopted standard classification schemes or controlled vocabularies to organize or provide enhanced access to Internet resources. Search Engine Watch - Visitors to Search Engine Watch fall into two groups: webmasters, web marketers and others involved with creating and promoting web sites, and search engine users, everyone from researchers, librarians and general web surfers who want to know how best to find things using search engines. Self-Regulatory Program for Online Behavioral Advertising - Building on the Self-Regulatory Principles for Online Behavioral Advertising (Principles) released in July 2009, the nation's largest media and marketing associations have come together to launch this Program, which gives consumers a better understanding of and greater control over ads that are customized based on their online behavior (also called "interest-based" advertising). Register to receive information about how to be listed on the Consumer Opt-Out Page, where consumers will be able to easily opt-out of receiving online behavioral advertising from some or all participating companies. SEOmoz - Develops SEO software, provides a robust link intelligence API, hosts a vibrant SEO community. Learn more about SEOmoz PRO, a complete set of software, tools, and resources to maximize your search engine optimization. SILC Project - Develops the Secure Internet Live Conferencing protocol (SILC), which is designed to provide the most rich featured conferencing services and high security. The SILC Project has been coordinating the protocol development for the past few years and the protocol specifications have been made available through the Internet Engineering Task Force (IETF). The SILC Project's goal is to fully standardize the SILC protocol in the IETF. Sitemaps XML Format - Describes the XML schema for the Sitemap protocol. SixOrNot - A Firefox extension which makes it easy for you to identify when the website you're connecting to supports the current generation Internet Protocol (version 6). It also allows you to see a list of all the servers contacted to load a page, along with the IP address your browser connected to to do so. DNS information about each server is also available so that you can see if a site could potentially be loaded via IPv6 if your local connection supported it (or to identify when connections were performed via IPv4 when they shouldn't have been). Also shown is whether the connection was made using TLS (along with the cipher used, and whether the certificate uses extended validation) and information about any proxy used for the connection. SixXS - A free, non-profit, non-cost service for Local Internet Registries (LIR's) and endusers. Provides a common portal to help company engineers find their way with IPv6 networks deploying IPv6 to their customers in a rapid, controllable fashion. Provides a whitelabel IPv6 Tunnel Broker and Ghost Route Hunter, IPv6 route monitoring tool, and other services. Solid - A project led by Prof. Tim Berners-Lee, inventor of the World Wide Web, taking place at MIT. The project aims to radically change the way Web applications work today, resulting in true data ownership as well as improved privacy. Speedtest.comcast.net - Internet speed test from Xfinity. Speedtest.net - Test your Internet connection bandwidth to locations around the world with this interactive broadband speed test. SpeedUs - Online guide to high speed Internet news and information. StatCounter - Visitor analysis for your website. Statistics and Metrics for IT Managers - Internet usage, demographics, web traffic, stats, statistics, audience, pageviews, impressions, hits, traffic, performance, most popular, online population, metric. Stockholm Internet Forum - A conference that aims to deepen the discussions on how freedom and openness on the internet can promote economic and social development worldwide. Its held annually in April or May. TCP/UDP Port List - This is a list of Internet socket port numbers used by protocols of the Transport Layer of the Internet Protocol Suite for the establishment of host-to-host communications. Tech Law Journal - News, records, and analysis of legislation, litigation, and regulation affecting the computer and Internet industry. TinyURL - Converts long URLs to short ones. TopHosts - Web hosting resource site. Tor: Anonymity Online - An anonymous Internet communication system. Tor is a toolset for a wide range of organizations and people that want to improve their safety and security on the Internet. Using Tor can help you anonymize web browsing and publishing, instant messaging, IRC, SSH, and other applications that use the TCP protocol. Tor also provides a platform on which software developers can build new applications with built-in anonymity, safety, and privacy features. Teredo Overview - Teredo is an IPv6 transition technology that provides address assignment and host-to-host automatic tunneling for unicast IPv6 traffic when IPv6/IPv4 hosts are located behind one or multiple IPv4 network address translators (NATs). To traverse IPv4 NATs, IPv6 packets are sent as IPv4-based User Datagram Protocol (UDP) messages. This article provides an overview of Teredo, including Teredo addresses and packet structures, and detailed explanations of how communication is initiated between Teredo clients, Teredo host-specific relays, and IPv6-only hosts using the IPv4 Internet, the IPv6 Internet, Teredo servers, and Teredo relays. Traceroute Geektools - Traceroute tools. UK Web Archive - Here you can see how sites have changed over time, locate information no longer available on the live Web and observe the unfolding history of a spectrum of UK activities represented online. URLOpener - Open a whole list of URLs at the same time. Paste URLs into the field provided and press Submit. vCard - Wikipedia backgrounder: vCard is a file format standard for electronic business cards. vCards are often attached to e-mail messages, but can be exchanged in other ways, such as on the World Wide Web or instant messaging. They can contain name and address information, phone numbers, e-mail addresses, URLs, logos, photographs, and audio clips. Also see vCard Maker. Visualware - Provides you traceroute, ping, and geographical location information from its server in Fairfax, Virginia, U.S.
Voice Over Internet Protocol (VoIP) - Internet Voice, also known as Voice over Internet Protocol (VoIP), is a technology that allows you to make telephone calls using a broadband Internet connection instead of a regular (or analog) phone line. Some services using VoIP may only allow you to call other people using the same service, but others may allow you to call anyone who has a telephone number - including local, long distance, mobile, and international numbers. Also, while some services only work over your computer or a special VoIP phone, other services allow you to use a traditional phone through an adaptor. Washington Internet Project (CyberTelecom) - Dedicated to raising awareness of and promoting participation in the federal regulatory process on issues relevant to the Internet. Web 2.0 - The term Web 2.0 refers to a second generation of services available on the World Wide Web that lets people collaborate and share information online. In contrast to the first generation, Web 2.0 gives users an experience closer to desktop applications than the traditional static Web pages. Web 2.0 applications often use a combination of techniques devised in the late 1990s, including public web service APIs (dating from 1998), Ajax (1998), and web syndication (1997). They often allow for mass participation (web-based social software). The concept may include blogs and wikis. Web Credibility Project - Facilitating research and discussion about Web credibility. Web of Trust (WOT) - A free website reputation, rating and review tool that helps find trustworthy websites and protects against online scams, untrustworthy links, and unreliable web stores. Free add-on for Firefox, IE, Chrome, Opera and Safari browsers. Web Robots Page - Web Robots (also known as Web Wanderers, Crawlers, or Spiders), are programs that traverse the Web automatically. Search engines such as Google use them to index the web content, spammers use them to scan for email addresses, and they have many other uses. On this site you can learn more about web robots. WebmasterWorld - Discussion forum on Internet searching and search engines. Website Down Check - This website down checker tool tests a site's status in real time. Is it down for just you? Simply enter (or copy and paste from the address bar) the URL address of the unavailable website to check for connection errors/problems. WebWise - The Internet made simple by the BBC Online: news, glossary, questions, basics, cases, features, columns. What is DHCP? - DHCP stands for Dynamic Host Configuration Protocol. DHCP is at the heart of assigning you (and everyone) their IP address. The key word in DHCP is protocol-the guiding rules and process for Internet connections for everyone, everywhere. DHCP is consistent, accurate and works the same for every computer. Also see Wikipedia. What Is My IP Address? - Provides IP address lookup, location, proxy detection, email tracing, IP hiding tips, blacklist check, speed test, and forums. WhatIsMyIP - Fast, easy way to determine your IP address. Why is my server slow? How do I run a ping and tracert test? - Tips and tools for testing. Woorank - Instant, thourough, SEO website review tool. World Wide Web Consortium - A repository of information about the World Wide Web for developers and users; reference code implementations to promote standards; various sample applications to demonstrate uses of new technology. Web Index - Designed and produced by the World Wide Web Foundation, the Web Index is the first multi-dimensional measure of the World Wide Web's contribution to development and human rights globally. It covers 81 countries, incorporating indicators that assess the areas of universal access; freedom and openness; relevant content; and empowerment. This webpage last updated on Saturday, March 9, 2019 8:09 PM.